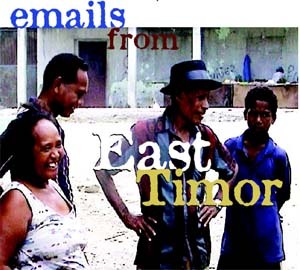 In a letter to Secretary of State Colin Powell, the members of Congress wrote that "impunity remains firmly entrenched" and justice has not been served for past human rights violations in East Timor and elsewhere. "The rights record of the TNI [Indonesian military] continues to be unacceptable. Crackdowns against civilians have escalated in West Papua. The end of martial law in Aceh has not led to improvements on the ground," they wrote. They called the Indonesian military "a massively corrupt institution," much of whose income "comes from illegal and semi-legal activities, including prostitution, drug-dealing, environmentally destructive logging, and trafficking in people." In a briefing this week, departing U.S. Ambassador to Indonesia Ralph Boyce told foreign press that he was disappointed that U.S.-Indonesia military relations remain restricted due to Jakarta's failure to prove that it had improved its human rights record. Boyce stated, "we don't have the material with which to seriously go to Congress and do that." FMF provides grants and loans for weapons and other military equipment and training. Congress has restricted FMF since 2000 and is set to renew the restriction for the 2005 fiscal year. Representatives Patrick Kennedy (D-RI), Chris Smith (R-NJ), Lane Evans (D-IL), and James McGovern (D-MA) organized the letter. A copy of the letter and a complete list of signers can be found below. We are deeply concerned that the Department of State is considering provision of foreign military financing (FMF) for Indonesia. FMF for Indonesia is ill-advised and should not be included in the Administration's FY06 budget request. As you are aware, Congress has restricted FMF for Indonesia since FY 2000, conditioning its provision on Indonesian military (TNT) budget transparency and accountability and justice for gross human rights violations. There has been no such justice served, and impunity remains firmly entrenched. Recently, an appeals court in Indonesia overturned the only convictions of Indonesian military and police charged with crimes against humanity in East Timor in 1999. The State Department declared, "We are profoundly disappointed with the performance and record of the Indonesian ad hoc tribunal." The tribunal on the 1984 massacre of Muslim protesters at Tanjung Priok in Jakarta has been gravely disappointing. Further, because of the absolute lack of cooperation by Indonesian government and security forces with the East Timor-UN Serious Crimes Unit, 75 percent of those accused remain at large in Indonesia. Despite Congressional and other calls for greater transparency in the TNI's budget, the military remains a massively corrupt institution, with less than a third of its funding provided by Jakarta. Much of the rest comes from illegal and semi-legal activities, including prostitution, drug-dealing, environmentally destructive logging, and trafficking in people. While Indonesia's civilian institutions deserve praise for the country's first direct presidential election, we have grave concerns over the prospects for real military reforms. President-elect Susilo Bambang Yudhoyono was a general under Suharto and a commander in East Timor in the 1980s.